Estacada Community Outreach will host a free breakfast from 8-11 a.m. on Saturday, Jan. 19, at a new location at Clackamas Valley Baptist Church, 29275 SE Eagle Creek Road. Free shuttle service is available to and from the church. Pick up times at City Hall are 8 a.m., 9 a.m. and 10 a.m. Drop off times at City Hall are 9 a.m., 10 a.m. and 11 a.m.
On Friday, Jan. 25, Estacada Relay for Life will host a spaghetti dinner at 5 p.m. and bingo from 6-8 p.m. at the Estacada Community Center, 200 S.W. Club House Drive. Dinner is $5 and bingo is $5 per card or three cards for $10. Popcorn and ice cream sundaes will also be available for purchase. 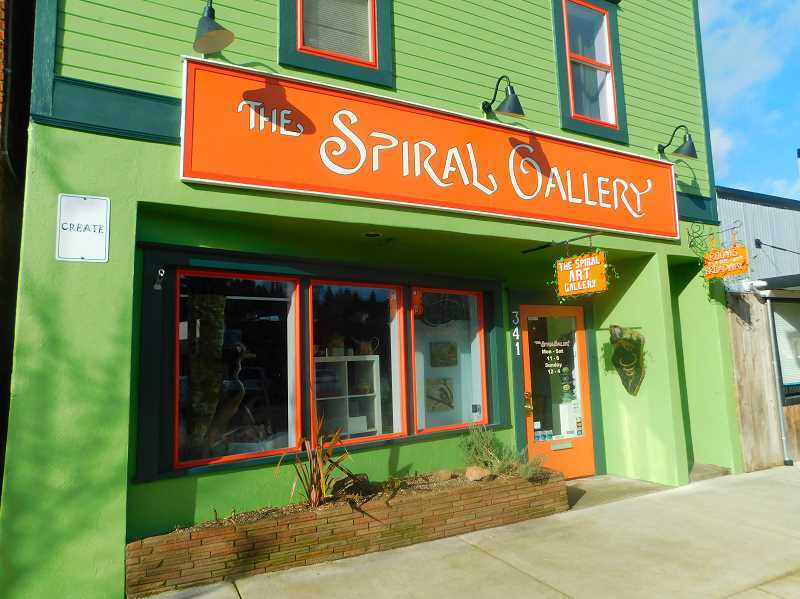 Artists at the Spiral Gallery will host their annual Second Saturday sale on Feb. 9. During the event at 341 Broadway St., leftover artwork is available for purchase at low prices. Beginning Vinyasa and Hatha yoga classes are held at 2:30 p.m. Mondays and 7 p.m. Tuesdays at the Viola Community Club, 22364 S. Redland Road. Classes are suited for all skill levels. The cost is $5 per class. The Skip-a-Week club meets from 10 a.m. to 3 p.m. Wednesdays at the Garfield Grange, 33460 S.E. Divers Road. For information, call 503-630-4669. The Estacada spinning and fiber arts group meets from 2:30-4:30 p.m. Fridays at Betty Veveiros CPA, 309 S.W. Highway 224. A free Texas Hold'em poker game is from 7-9 p.m. every Thursday at the Country Restaurant, 341 Main St. Another game of mad poker is at 7 p.m. Mondays at the Cazadero Inn, 352 S.W. Highway 224. Prizes are included. The Estacada Area Food Bank is open from 10-11:45 a.m. and 12:30-3:45 p.m. Tuesdays and Fridays. Food is available monthly to community members in Estacada, Eagle Creek, Colton, Carver and Barton who meet income requirements. To join the all-volunteer organization or to get food, call 503-630-2888 or stop by the Food Bank at 272 Broadway St. The Estacada Public Library is at 825 N.W. Wade St. Call 503-630-8273 for more information. The Girls Who Code club will meet from 1:45-3:45 p.m. Wednesday, Feb. 6. The group is open to students in sixth grade or older. Scheduled from 10:30 a.m. to noon on Fridays, this playgroup features stories, songs, crafts and a healthy snack. The focus is on structured play and kindergarten readiness. Siblings are welcome. Scheduled from 11-11:45 a.m. Tuesdays, this storytime uses music and movement to help children develop early literacy skills. This storytime event is scheduled from 11 a.m. to noon on Wednesdays. An Alcoholics Anonymous group meets from 7-8 p.m. every Thursday at the Estacada First Baptist Church, 29101 S.E. Eagle Creek Road. Another AA group meets from 7-8:30 p.m. Mondays and Fridays at Saint Aloysius Hall, 297 N.W. Broadway St. This group also holds a speaker's meeting on the first Friday of the month. A Narcotics Anonymous group meets at 7 p.m. Wednesdays at 295 N.W. Wade St. Call 503-290-4507 for more information. The Grief Share group is there for people who have lost a close friend or loved one, helping to turn mourning into acceptance and to remind them of the joy that remains in life. Grief Share groups meet from 2-4 p.m. and 6:30-8:30 p.m. Mondays at Clackamas Valley Baptist Church, 29275 S.E. Eagle Creek Road. The groups do not meet on holidays. The Estacada City Council will meet at 7 p.m. Monday, Jan. 28, at City Hall, 475 S.E. Main St. Call 503-630-8270. The Estacada School Board will meet at 7 p.m. Wednesday, Feb. 13, in the Estacada High School Choir Room, 355 N.E. Sixth Ave. The Estacada Rural Fire District Board of Directors will meet at 7 p.m. Thursday, Jan. 17, at 261 S.E. Jeremy Loveless Ave. The Estacada Cemetery District meets at 5 p.m. the first Thursday of each month at City Hall, 475 S.E. Main St. The next meeting is scheduled for Thursday, Feb. 7. The Estacada Community Center is at 200 S.W. Clubhouse Drive. Visit www.estacadacommunitycenter.org or call 503-630-7454. The center needs volunteers for many different jobs, including Meals on Wheels drivers, drivers to medical appointments, kitchen and dining room help, answering phones and greeting visitors, and yard work. Call 503-630-7454 for more information on how to volunteer. Lunch is served in the center's dining room for all ages at noon on Mondays, Tuesdays, Thursdays and Fridays, with a full salad bar on Tuesdays and Fridays. Donations are suggested for seniors; lunch is $4 for those under age 60. Chicken foot dominoes follows Monday and Thursday lunches. Bingo follows lunch on Tuesday and Friday. Call 503-630-7454 for bus service. The center hosts an evening of dinner, music and dancing on the first and third Saturdays of the month, with live music from the Classic Country Connections Band. The cost is $8 for dinner, dancing and dessert, $4 for dessert and music or $3 for music. The event is a fundraiser for the center's Meals on Wheels program. The center offers a $5 breakfast for all ages at 9 a.m. Wednesdays with a door prize drawing and pinochle and cribbage following breakfast for those interested. Call 503-630-7454 for bus service to breakfast. Zumba classes are held at the center starting at 5:45 p.m. Monday and Wednesday evenings and from 9:30-10:30 a.m. some Saturday mornings. Zumba is $5 per class, or $25 for a monthly pass. Call 503-680-4338 for more information. Exercise to music for all fitness levels on Tuesday and Thursday evenings with Susan Wagner at the center from 6:30-7:30 p.m.
Free Tai Chi classes for ages 12 and up are held at 10:30 a.m. Tuesdays and Fridays at the center. Exercise classes for seniors are held at 9:30 a.m. Mondays and Thursdays at the center. Tae Kwon Do classes for ages 8 and up are held at 5:30 p.m. Tuesdays and Thursdays downstairs at the center. Call 503-975-7119 for information and cost. TOPS (Take Off Pounds Sensibly), a weight-loss group open to all ages, meets at 8:30 a.m. Tuesday mornings at the center.